Nice well maintained 1 story home. Oversized corner fenced lot. 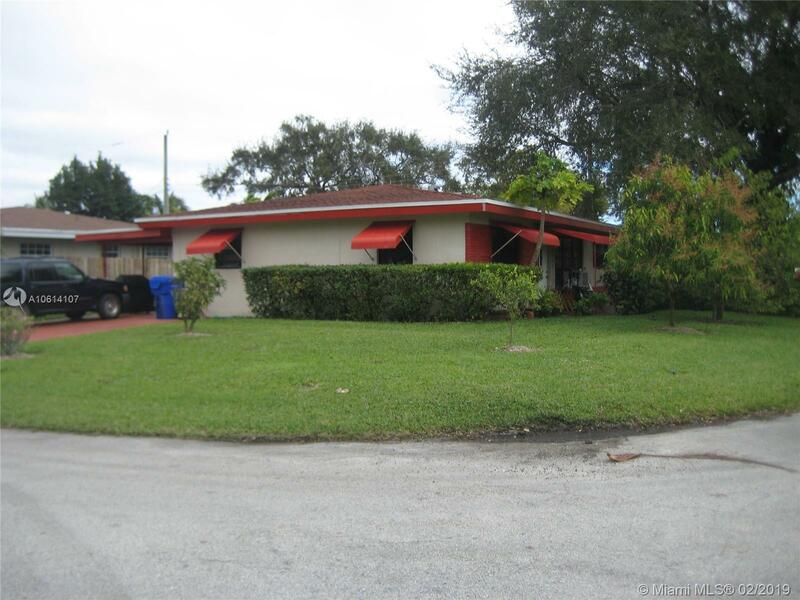 Full 3 Bedrooms, 2 baths with Florida room. All tiled living, dining and family areas, Inside laundry area plus workroom/storage room. Split master suite w/walk-in closet. Central air, Oversized wood beamed cover for picnic table, 1 car carport, Hurricane shutters. Lots of potential. Needs some updating. Sprinkler system, Hurry to see. Won't last at this price. Must sell FAST.